On the 4th of July the whole America is celebrating its Independence Day, and lots of game developers don't want to miss this day and attract some attention during the holiday. Today we have shown you new festive Saints Row 4 video and now are going to rejoice you with the new GTA 5 artworks. 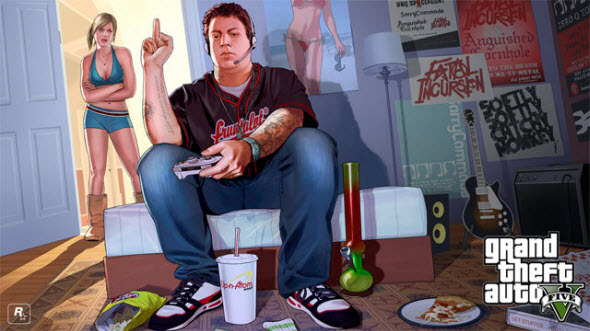 The second GTA 5 artwork demonstrates the family values - two charming teens and their fascinating relationships. 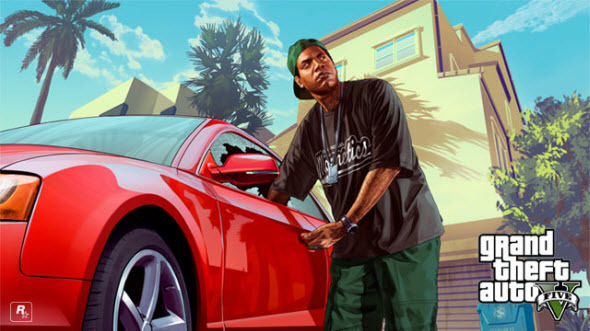 By the way, the boy from this picture firstly appeared in the network yesterday in our article about new GTA 5 details. GTA 5 game is going to be released almost soon - on the 17th of September. It is officially confirmed that the game is developed for PS3 and Xbox 360, but there is no information about GTA 5 for PC and next generation of consoles yet.